When examining what effects climate change may have on streamflow—the flow of water in a river or stream—researchers nearly always look to streams and rivers that are largely unaltered by humans. They do this because it is commonly believed that the management of water through human-made dams and reservoirs may mask climate change signals. While this seems reasonable, it also means ignoring many streams and rivers—especially in North America, where humans have modified most streams and rivers. Curious as to whether this climate signal masking was actually occurring, a team of scientists led by Darren Ficklin set out to look for climate signals in data covering over 3,000 sites on rivers and streams in the US and Canada. The researchers, who include CIRC’s John Abatzoglou, published their work in the Proceedings of the National Academy of Sciences. Of the sites examined by Ficklin and colleagues, about 20% were defined by the researchers as natural, meaning not dammed or otherwise modified by humans, while the remaining 80% had been modified by humans. The researchers looked for clear trends, examining over 35 years of data for each site for several streamflow measures, including median daily flow, daily flow variability (as measure by the interquartile range), 7-day maximum annual flow, and extreme high and low daily flows (defined as the 99th and 1st percentiles respectively). Ficklin and colleagues found geographically coherent trends for most of the measures they examined; patterns that were largely consistent regardless of whether a site was attached to a natural or modified stream or river. Contrary to the prevailing idea that modified streams and rivers were likely masking climate signals, Ficklin and colleagues found no statistically significant difference between natural and modified sites for several streamflow measures. Median daily flow, extreme high daily flow, and 7-day maximum annual flow all clearly showed a climate signal. By contrast, statistically significant differences were found for extreme low daily flow and daily flow variability. Here the climate signal did appear masked. Ficklin and colleagues’ results make sense if you consider how the climate signal shows up, or not, in the data. Streamflow is dependent in large part on precipitation (water supply) and evapotranspiration (the demand the atmosphere places on that supply depending on how warm it is). Streamflows, in other words, rise and fall depending on how much precipitation has fallen and how warm it has been. Extreme low daily flow and daily flow variability, the measures that masked the climate signal at modified sites, are frequently managed at dams and reservoirs. If a water supply experiences a temporary period of low precipitation and/or high temperatures that lead to low streamflow, this can be managed by releasing stored water. Augmenting streamflow during periods of low flow means that managed systems can mask the climate signal as revealed by these two measures. All it takes to create that mask is turning on the water, so to speak. That Ficklin and colleagues detected responses to climate change in streams whether they were modified or not is significant. The important takeaway is this: long-term climate changes already clearly impact both natural and human-modified water systems. Publication: Ficklin, Darren L., John T. Abatzoglou, Scott M. Robeson, Sarah E. Null, and Jason H. Knouft. “Natural and managed watersheds show similar responses to recent climate change” Proceedings of the Natural Academy of Sciences (2018): 201801026. https://doi.org/10.1073/pnas.1801026115. No statistically significant difference was found between natural and human-modified sites for several streamflow measures: median daily flow, extreme high daily flow, and 7-day maximum annual flow. Statistically significant differences were found between natural and human-modified sites for extreme low daily flow and daily flow variability. Key Term: Streamflow—the flow of water in a river or stream. Featured Image: Bonneville Dam Spillway on the Columbia River. (Photo Credit: Kirt Edblom, some rights reserved. David Rupp is a researcher for OCCRI at Oregon State University. 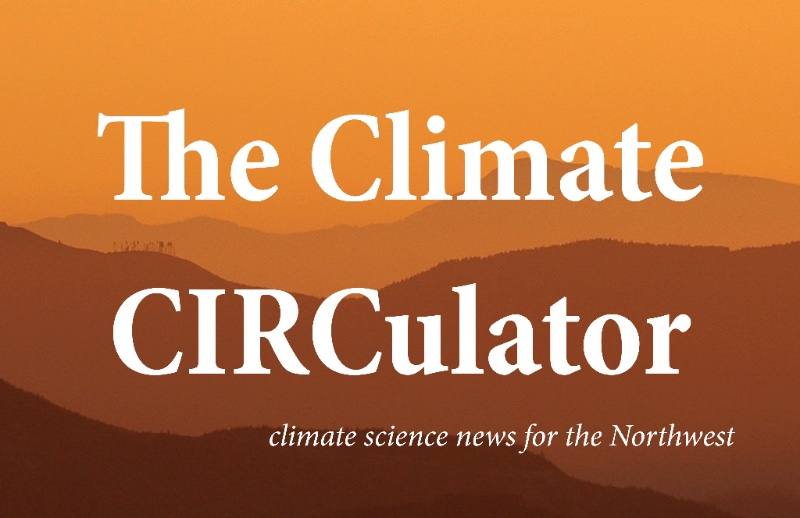 He works on CIRC’s Climate Science and Climate Tools efforts. Interested in climate variability and change, and, in particular, in how these two factors impact the hydrological cycle and water resources, David’s work assessing how well Global Climate Models perform in the Northwest has become the foundation of much of CIRC’s Climate Tools and Community Adaptation efforts. More reviews written by David Rupp.